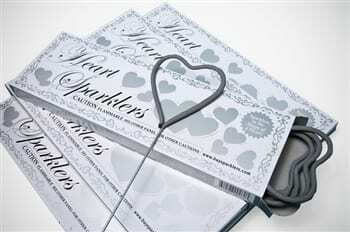 Creating Memories with Sparklers at your wedding! I recently received an e-mail from a bride in North Texas. Her grandmother went through the sparkler tunnel 5 times before they made it out to start their grand exit. Her grandmother kept apologizing for going through so many times. But she said she hasn’t done them since she was a kid and had so much fun with the sparklers! It made her so happy to see her grandmother and other guests having a fabulous time at her wedding. 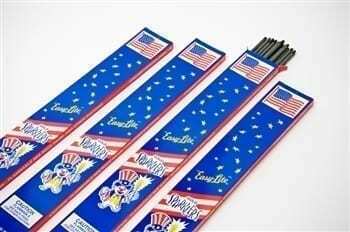 This brought back memories from my childhood and how there is something so nostalgic about holding a lit sparkler. For me it brings back memories of a fun, care-free time when family was all gathered together to celebrate holidays. We always had the traditional BBQ with hamburgers, hot dogs, potato salad, grilled corn on the cob and everyone enjoyed eating fresh, cold watermelon on those hot days while the food was being prepared. Kids running around and playing in the sprinklers while the adults listened to music and played horseshoes in between cooking. Once the homemade ice cream and apple pie were brought out for dessert, we knew the fireworks would soon begin. The sparklers always came out first and excitement filled the air as we waited patiently for our sparkler. Reading her sweet e-mail brought back all of my memories from my childhood. It made me smile because I knew exactly what her grandmother was feeling. 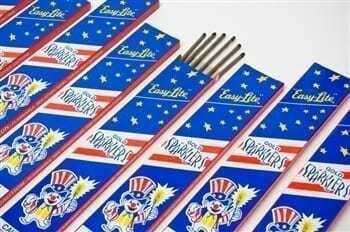 I am so glad that sparklers are now a part of such an important day! The memories will create a lasting impression on so many people. One day they too will hold a sparkler in their hand and those memories will come flooding back bringing a smile to their face as well! The picture is from Whitney and Devin H.’s wedding in Lebanon, TN. The couple used our #20 Inch Gold Wedding Sparklers for their grand exit.